McLaren Multi-Terrain Loader (MTL) Rubber Tracks are constructed from high quality wear-resistant rubber compounds and a reinforced steel belt for optimal durability. Specially formulated rubber compound is gouge, tear, and cut resistant. 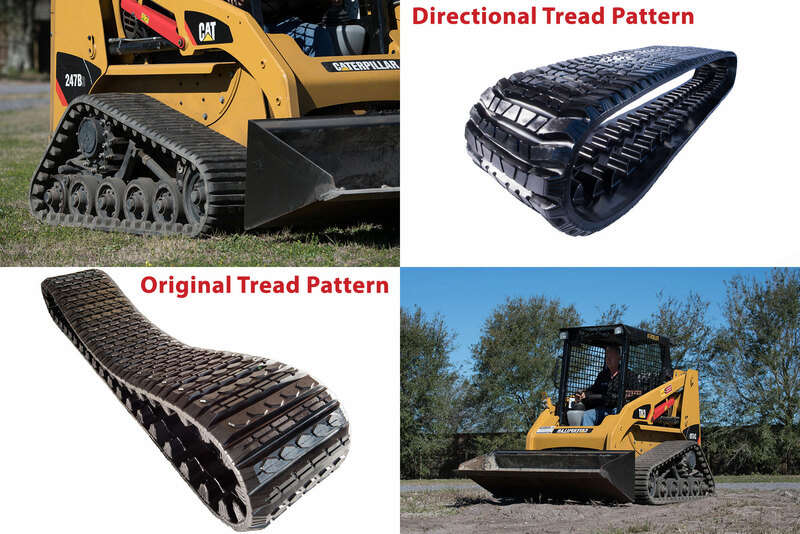 Steel reinforced design eliminates delamination on both tread and rolling area pathway. Heavy duty lugs easily handle the torque generated by your machine. These features create a reliable long-lasting track. McLaren MTL Tracks offer high quality features using the latest technology at an incredibly competitive price. It is pound-for-pound THE BEST VALUE on the market.